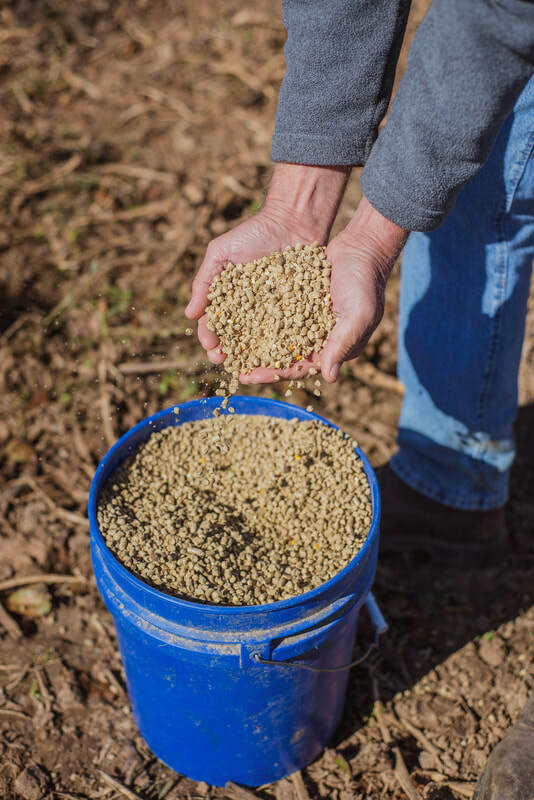 ​For many farm families in Kentucky, farming is not just a career or way of life but a family legacy that continues down through generations. A perfect example of this is the Lowe Family that has been farming in the same community for 219 years. When the Lowe family moved near the Barren River in 1799, George Washington was still living and Lewis and Clark had not yet ventured west. Kentucky was at the time the western frontier. 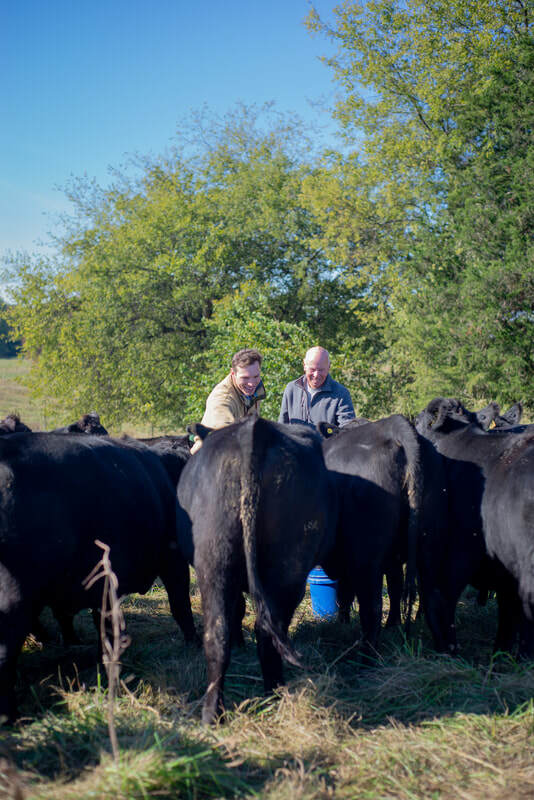 About 10 miles out of Bowling Green in the small town of Smiths Grove, father and son Kenneth and Joe Lowe own and operate their family’s 8th generation cattle farm, Oak Hollow. Oak Hollow got its name from the landscape surrounding it where more than 10,000 years ago, a nearby cave collapsed creating a hollow in the hillside. Today, a large cave runs underneath their farm that is home to one of the oldest cave glyphs in North America. Although his father would have allowed him to be partners on the family farm, it was important to Kenneth at a young age to do things his own way. In 1977 at the age of 23 he purchased his very own farm right next door to his father’s and he bought his own herd of cattle. Right from the start, Kenneth was dedicated to making his farm and his herd the best that he possible could. “If I’m going to spend a lifetime of breeding cows, I want to have the best cattle I can have,” he says. 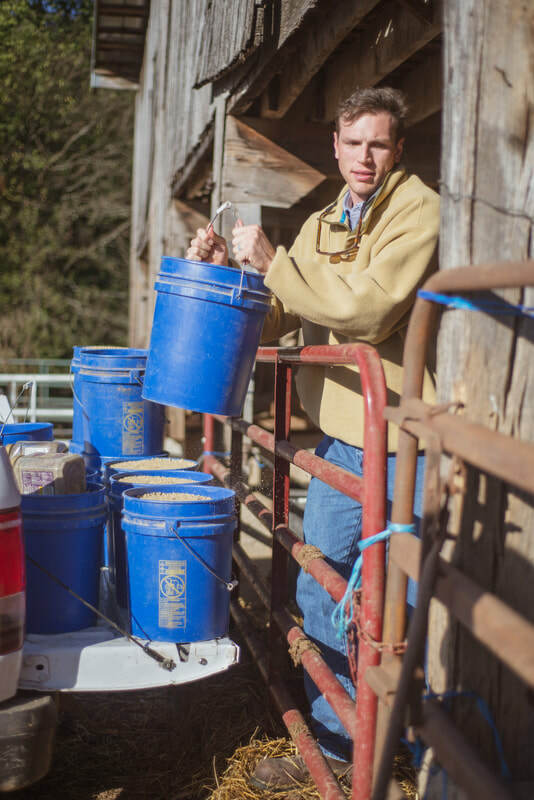 His passion and dedication for raising healthy, high quality cattle is shared by his son Joe, although coming back to the farm wasn’t always his plan. 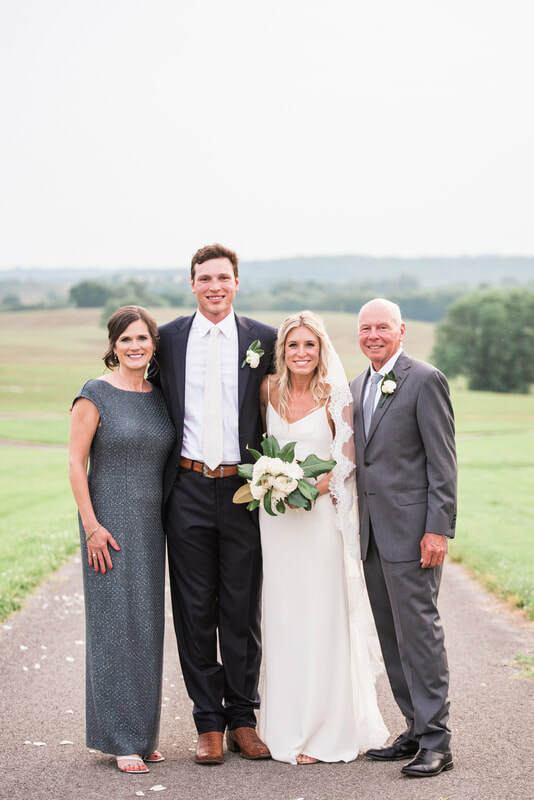 Joe’s background is in economics, which he studied at the University of Louisville where he met his wife, Cassie, a Kindergarten teacher in Bowling Green. While finishing up at school, the Wall Street Journal came out with an article showing that those with an Agricultural Economics Masters Degree had some of the lowest unemployment rates and highest salaries, which sounded like a good idea to him at the time. After about a week, he decided he didn’t want to be at a desk and that coming back to the farm sounded like a better job. What excited Joe most about coming back to work on the family farm was the opportunity to use modern technology to improve their herd. 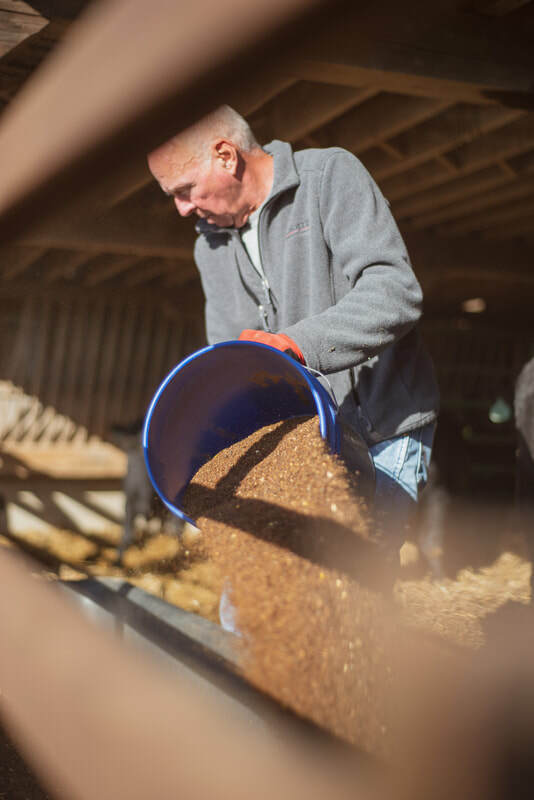 By using excel files full of data, predictive EPDs (expected progeny differences) that estimate genetic traits, genomic testing, ultrasound and more, they are able to be more efficient with their herd management than ever before. 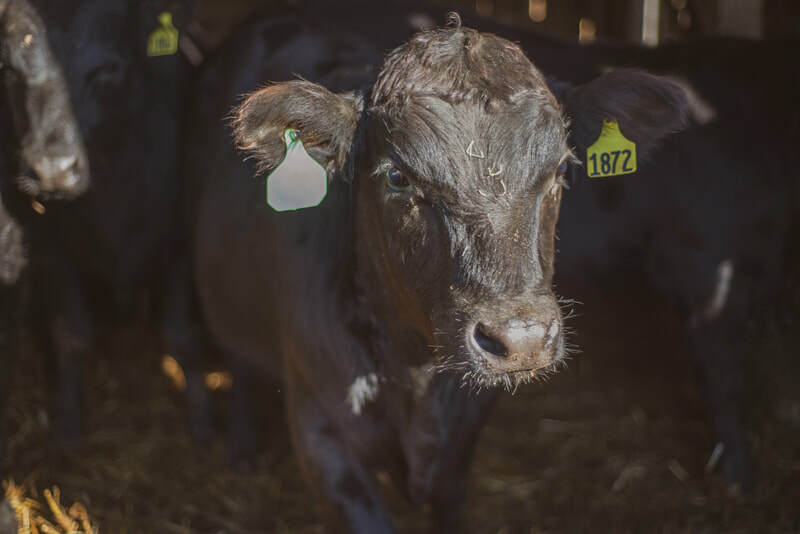 Thanks to technological advances utilized on the farm, the Lowes are able to make more improvements in the genetics of their cattle herd in one year than they used to be able to make in ten years. 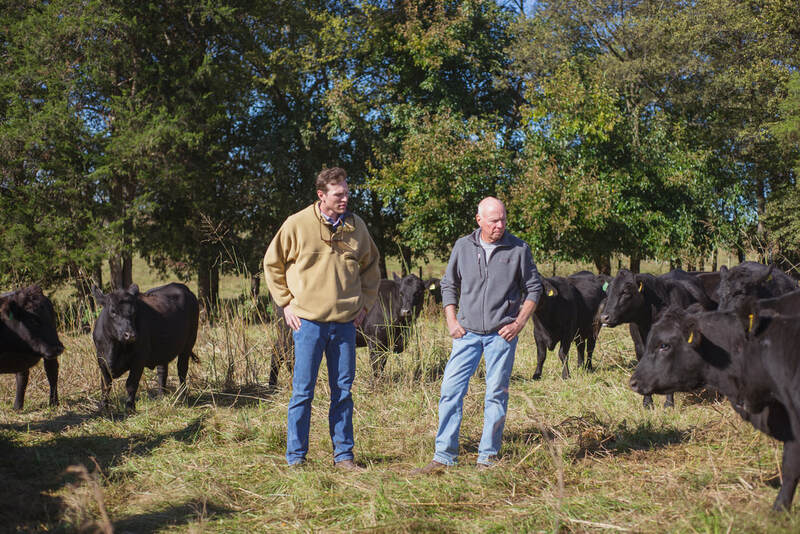 Together on their family farm, Kenneth and Joe breed about 400 angus cows per year. They calve 300 of them and sell 100 as commercial females, meaning that other farmers will be able to purchase them to add to their own herds. They also sell about 100 bulls per year to other farms around the region. On average, one bull will produce about 25 calves per year. The Lowes estimate that the bulls they’ve raised on their farm and sold to farmers in the region produce about 10,000 calves per year that will be raised to eventually go to market and become delicious beef for families across the country. 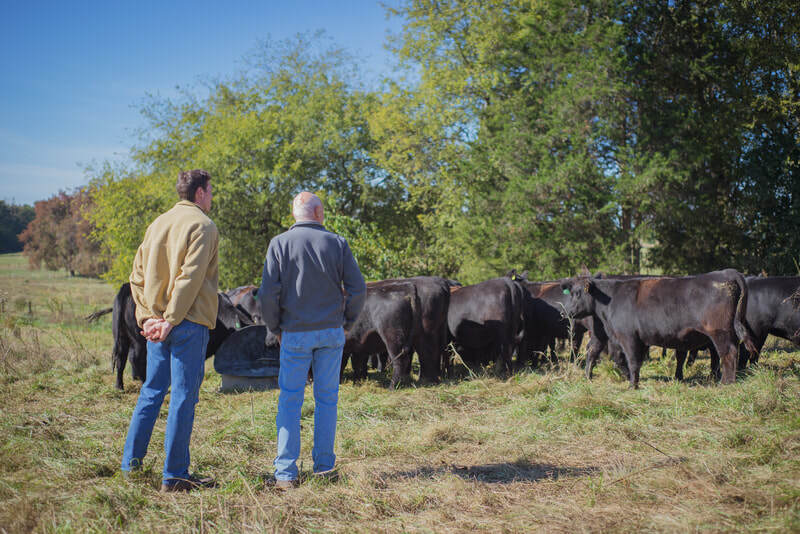 If you ask Kenneth and Joe, Kentucky is one of the best places in the world to raise cattle because of its temperate climate and abundant rainfall. Kentucky is the largest cattle state east of the Mississippi River and is home to more than 38,000 cattle farmers. 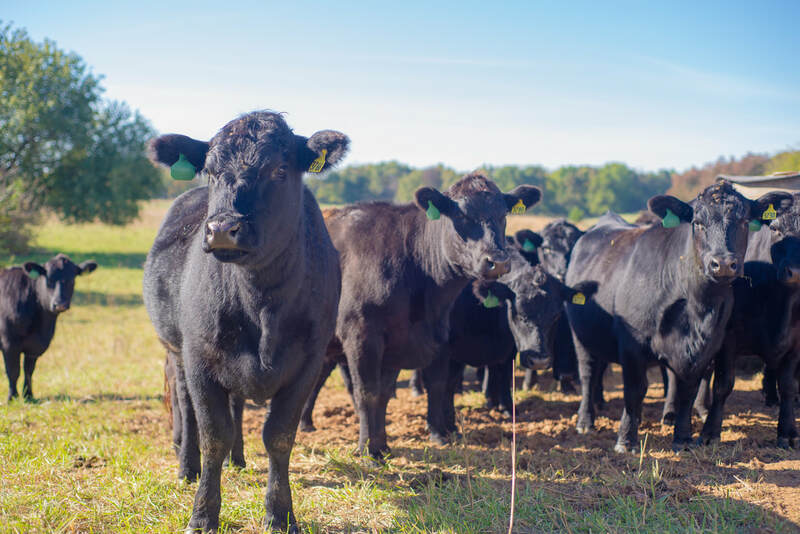 As Kentucky cattle farmers, the Lowes are proud that consumers can now walk into one of the largest retail grocery stores in the state and find Kentucky raised beef in the meat case. What does an average day on the farm look like for the Lowes? It’s hard to say, because there is no average day. “When we wake up every day, our main focus is making sure those animals are taken care of,” says Joe. They focus on ensuring their cattle have the best nutrition possible and remain healthy. Taking care of the cattle also means taking care of the land. The Lowes work hard to manage their pastures so that all they need is rain and sunshine to maintain the farm. 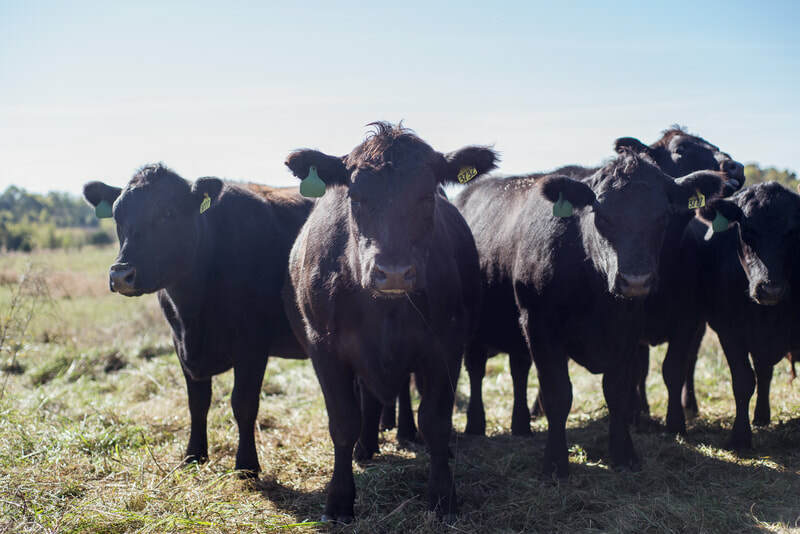 Optimizing grazing production means making sure not to graze the same pastures year-round to ensure that the land can continue to be productive for the next year ahead. 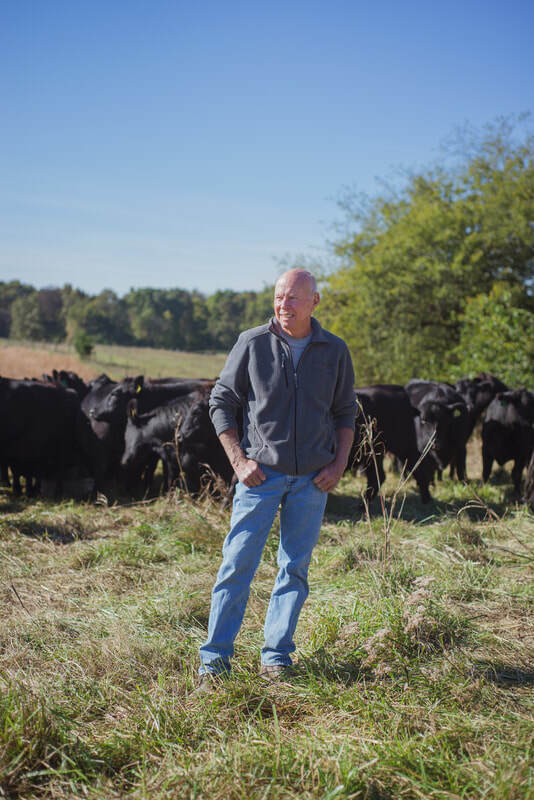 The Lowe family takes great pride in producing delicious wholesome beef for Kentucky families like their own. 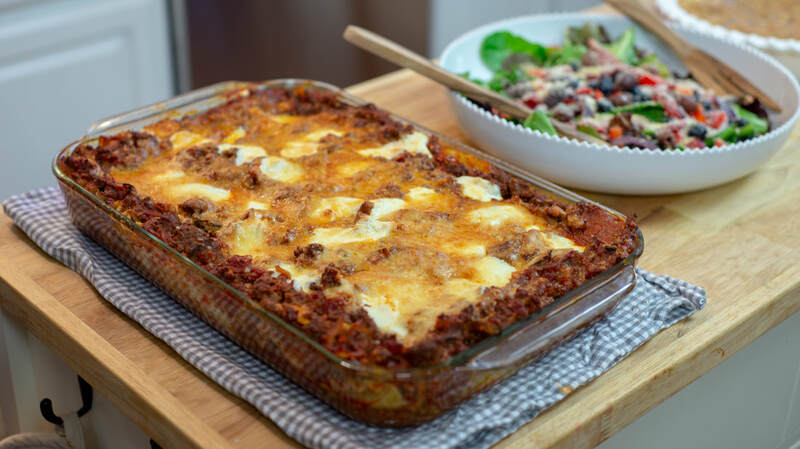 One of their favorite beef dishes to enjoy together as a family is Kenneth’s wife Theresa’s Oak Hollow Lasagna. Theresa works from the farm as a CPA, and if you ask the boys, she’s the best cook around, always using the best ingredients, like Kentucky Cattlemen’s Ground Beef, to fuel their family for another day on the farm. ​Try Oak Hollow Lasagna for yourself! Want to get to know more farm families like the Lowes?